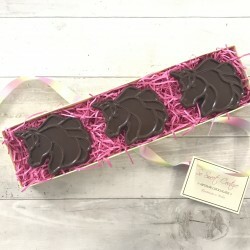 So Sweet Couture Chocolate Boutique are artisan chocolatiers specialising in free-from chocolate. Their chocolate is hand made in their farm located in Pembrokeshire using only the finest organic and fair trade ingredients. 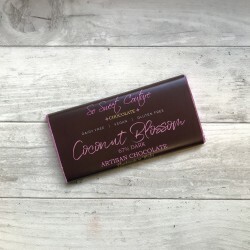 Great tasting chocolate that can be enjoyed by anyone, whether you are suffering from allergies or follow a specific lifestyle. Chloe from So Sweet Couture team has won awards in numerous competitions including the National Cupcake Championships - free from category winner as well as being a previous Great British Bake Off top 40 Finalist. Free From Heaven Magazine said "you don’t need to look any further than So Sweet Couture to fulfil all of your white chocolate needs!"